36 fish and up to 5kg of fillets where a person has both fish and fillets. Gulf St Vincent and Investigator Strait. You cannot travel through the closure areas with King George Whiting onboard. Recreational fishing limits apply for King George Whiting. South Australian charter boat fishing limits (PDF 1.2 MB) apply to charter fishing activities. 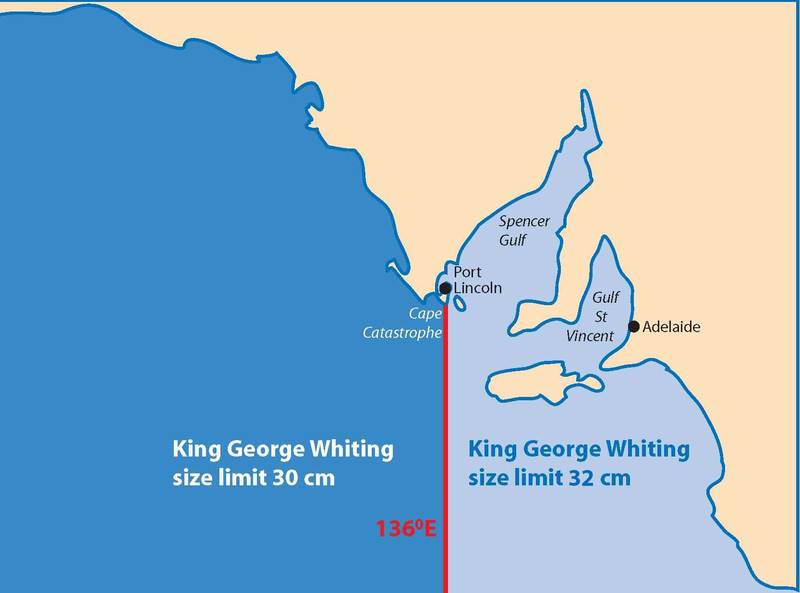 Download the King George Whiting fishing closure flyer (PDF 1.3 MB), for a summary of the closure times and locations, as well as the limits when fishing outside the closure areas.